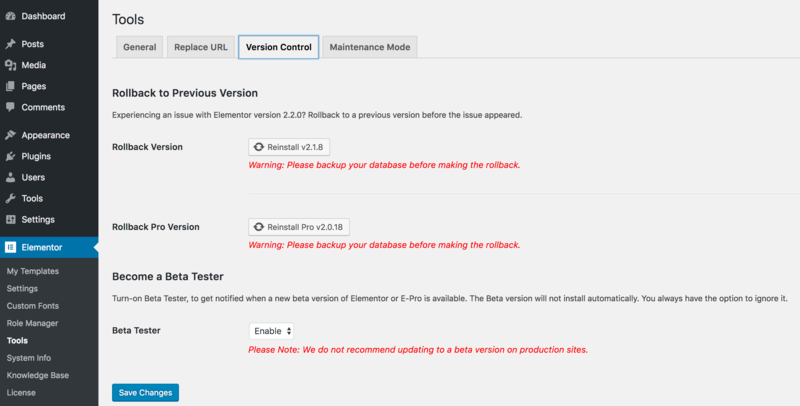 If you are experiencing an issue with your current version of Elementor, this tool enables you to roll back to a previous version before the issue appeared. Click the Reinstall button. This will reinstall the last version prior to the installed one. Important! Always backup your database before making changes such as rolling back.